Burn M4V to DVD/ISO/DVD Folder/Blu-ray DVD Easily. Edit M4V videos before M4V to DVD conversion. Customize DVD template for M4V to DVD. Developed by Apple, M4V is an MPEG-4 video file that is used to encode videos in the iTunes Store. Most of the time, the format is protected by DRM copyright protection and thus can be played only on an authorized system. What if you want to play these videos on your TV or create a backup copy? The M4V format is not compatible playing with home DVD systems and thus need to burn M4V to DVD arise. A good M4V to DVD converting tool will assist you with the process. Converting M4V to DVD creates a backup copy of your videos and also frees some space from your system by moving not so important files to a disc. In the following part, we discuss the best solutions on how to convert M4V to DVD. You will multiple programs to select when it comes to M4V to DVD converter. Choosing the right one is important to have high-quality videos with additional features. 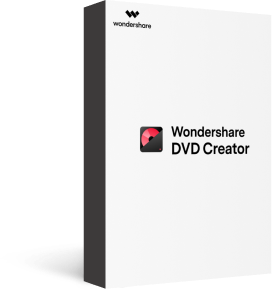 One software that proves excellent in all the needed aspects is Wondershare DVD Creator. Compatible working on Mac OS X 10.7 or later as well as Windows system, it assists creating DVD and Blu-ray disc effortlessly from M4V and all other video formats. · Burn M4V to DVD Mac in high-quality video at a super fast speed. · When you convert M4V to DVD Mac, you can choose from over 100 free DVD menus to suit your disc theme. · Burning M4V to DVD conversion, you can also create slideshow and edit videos using built-in video editor. 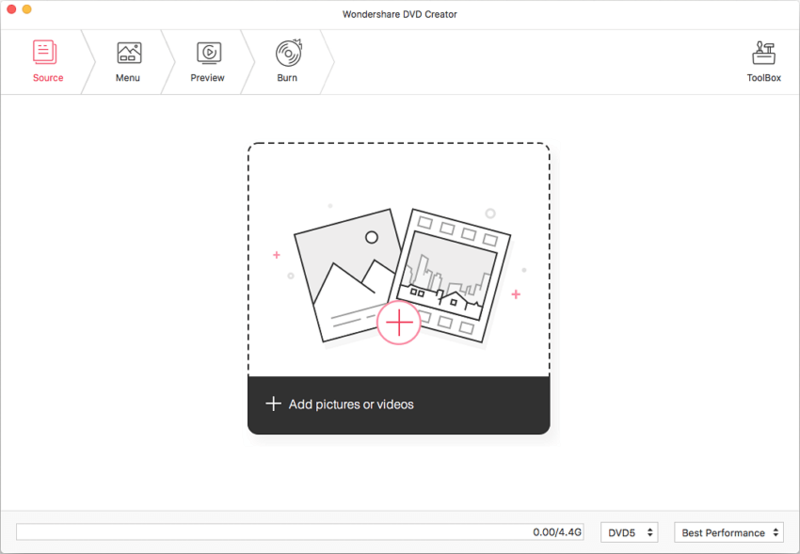 · More tools to make photo slideshow, edit videos, one-click to burn video to DVD, copy DVD, and more. · Customize DVD menu in a professional manner by adding background music or picture, adjusting aspect ratio, editing thumbnail, along with additional features. 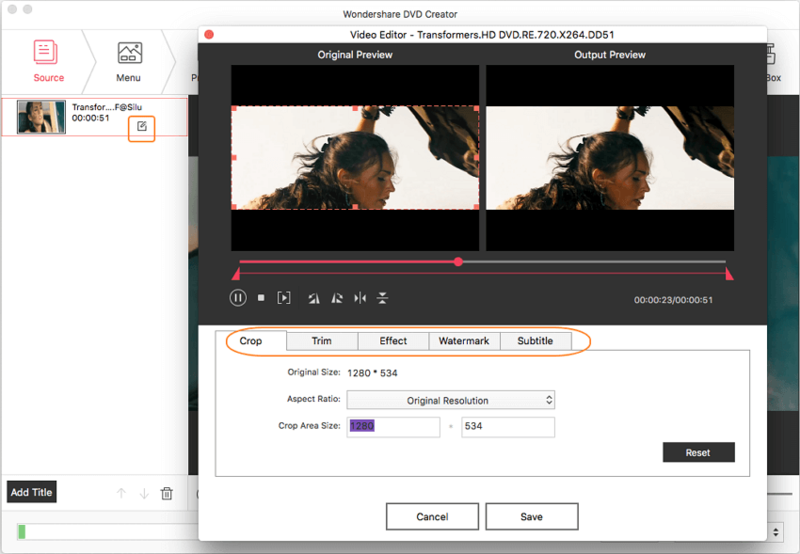 · Convert M4V to DVD disc, DVD folder or ISO files if needed.
. Additional features include creating chapters, selecting DVD quality, preview, and others.
. Supported OS: Mac OS 10.14 (Mojave), 10.13 (High Sierra), 10.12, 10.11, 10.10, 10.9, 10.8, 10.7, 10.6, Windows 10/8/7/XP/Vista. Step 1 Run Wondershare M4V to DVD converter and insert a blank disc. 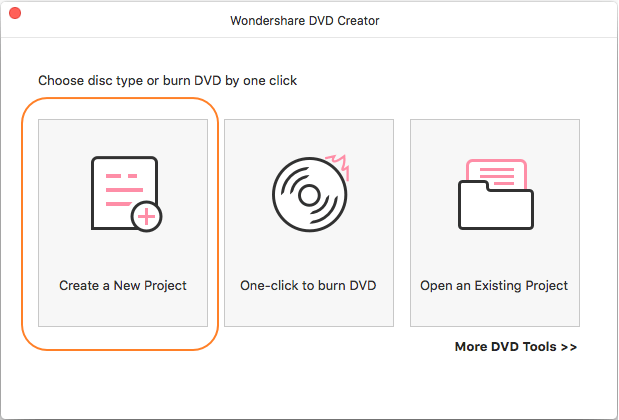 Open Wondershare DVD Creator on your Mac system and a window as below will appear. Select Create a New Project. Also, insert a blank disc in your system. Step 2 Import M4V videos for DVD creation. There are two methods which can be used to load and burn M4V to DVD. You can either drag and drop the files or click + to search and add videos present on your Mac. Once videos are added, they will be displayed as thumbnail at the left of the interface. Up and down arrows can be used to rearrange their order if needed. Step 3 Edit videos before you convert M4V to DVD. This is an optional step which can be skipped if video editing is not required. From the list of the added videos, select the desired video and click the pencil-like button on the thumbnail. A new window will open from where you can select the options to trim, rotate, crop, set special effects, and others. Applied settings can be instantly seen in the right window. Step 4 Choose and customize DVD menu. Wondershare M4V to DVD converter offers more than 100 static and dynamic templates to choose from. For menu customization, click the Menu tab, choose the design you like and hit the icons at the top of the window. An advanced pop-up window will open for customization, from where you can change background picture or music, add text, create chapters, and more functions. Step 5 Preview and burn M4V to DVD. Click the Preview tab to check your created DVD. If any changes are needed, move back and do them. Finally, move to the Burn tab and choose Burn to Disc option. Finish the Burn Settings it asked such as Disc Label, Burner, TV Standard, Folder Path, and others. Hit the Burn button to start burning your M4V video to DVD in an easy way. You can also choose to save it as ISO file or DVD Folder here if you like. 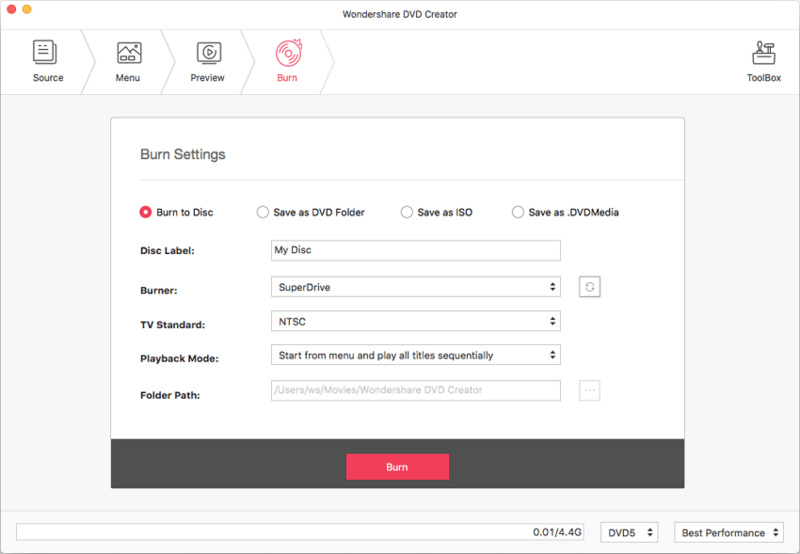 Wondershare DVD Creator burns all your M4V videos to DVD within no time. Similarly, you can also burn M4V to DVD windows 10 and 8, 7, Vista, XP, and 2003 version of the OS. M4V is a video container format developed by Apple and also known as iTunes Video File. It is very similar to MP4 format but is optionally protected by DRM copy protection. If you have downloaded music videos, TV series, movies and other videos from iTunes Store, they will be in M4V format. These video files can be played on an authorized computer or directly on your iPad, iPhone, or iPod touch device from which it was purchased. The M4V videos which are not protected and does not have any restrictions can be opened and played in a number of players like VLC, Miro, QuickTime, MPlayer, and others. 2. Are M4V to DVD Freeware available? There are a number of tools using which you can convert M4V to DVD freeware. These freeware's may be desktop software like WinX DVD Author or online programs like Zamzar. 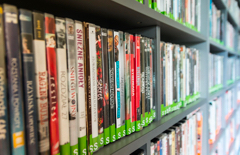 Though these free to programs are not feature packed like professional software, they take care of basic DVD conversion needed. Free desktop software needs to be installed on your PC while an online program can be used directly from your browser. 3. Limitations of using free M4V to DVD Software? As we have discussed in the above point, there are free M4V to DVD converters available, but the features offered are limited. Majority of the free desktop software support limited file formats and does not support features like DVD menu customization, creating chapters, video editing, and others. Online programs like Zamzar that claims to support M4V to DVD conversion basically converts your M4V videos to DVD compatible formats. In real-sense, actual DVD burning process does not take place with these online programs; it’s just the file format that converts. Moreover, online converters work on your browser and thus you need a strong internet connection for the same. Most of these programs also have limitation to the file size that can be added. To make your M4V to DVD burning, an effortless process, opt for a professional software. There are a number of features that should be considered while selecting a good program. First of all, an expert M4V to DVD converter should result in lossless quality files at fast speed. It should support all popular formats like M4V, AVI, MP4, WMV, and others. Video editing, DVD menu templates, customization of the menu, creating or adding new chapters, adding background music or image, and multiplatform support are some additional features to look for. 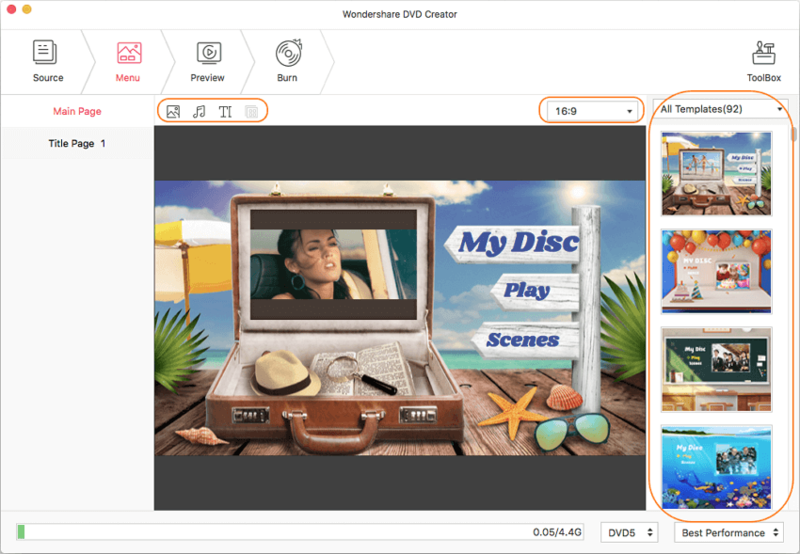 Wondershare DVD Creator is an expert M4V to DVD converter as it comes loaded with all needed features to make your DVD burning process simple as well as professional.